Oh my! Has it really been more than a month since we chatted?! Yikes! Sorry! This past month has been very busy, but in a pleasant sort of way. I'm taking an online Tech Editing course from Joeli, of "Joeli's Kitchen," to learn what's involved in being a knitting pattern technical editor. Lots of math! Lucky for me, I adore math. Sick, I know. Tressa returned from Edmonton, and declared flying as "boring" in typical Tweenie fashion. She had a blast with her cousins and at one point, she wanted me to see about letting her stay until Christmas so she could go to school with her cousin, Angelina. They are both the same age and as thick as thieves. I, of course said no, with a HUGE lump in my throat. My baby, wanting to stay longer away from me? Inconceivable for me to imagine. Tressa, the master negotiator that she is, reminded me that Harry Potter went away to school when he was 10, and besides, she will be going to travel Europe after high school with Angie and their best friends, so it would be great practice for me. Hmmmm. I smelt a pot of mullarkey, and after talking to my sister, it seems it was a plan cooked up by my little Tressa and Angie. 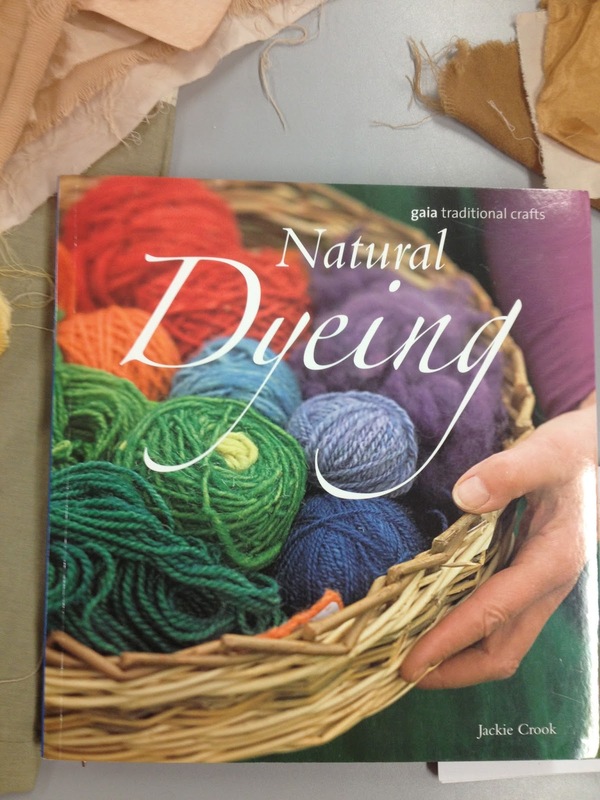 And speaking of cooking, I took a natural dyeing course at my local Craft School. So much fun! It was from 9am to 4pm but honestly, the day flew by. I finally got to try my hand at dyeing with cochineal, which are the bodies of female insects of the species Dactylopius. I managed to get one skein in the pot. It turned out a delicious colour! I bit the bullet and ordered some for my home studio. It's expensive, but worth it. It was freaking hot and raining very hard outside. 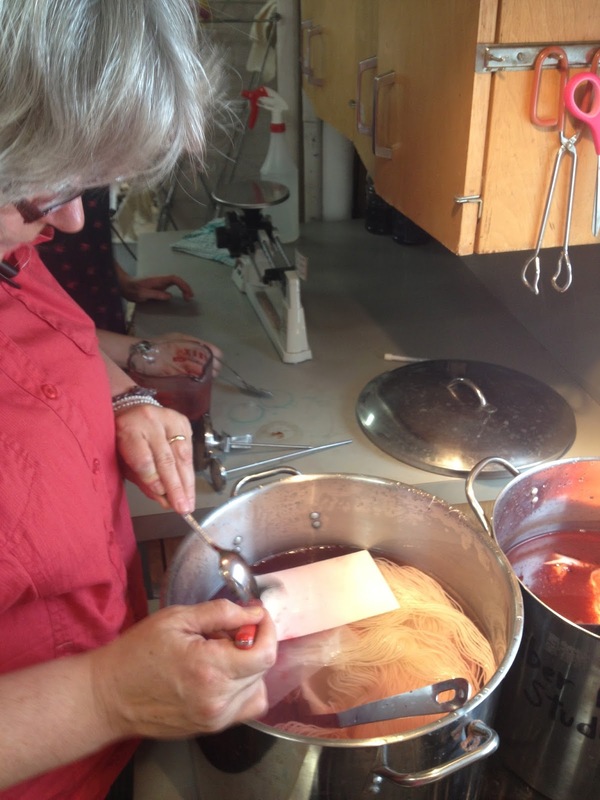 Add in the heat of 4 burners running from 9am to 4pm in a small fiber studio, and you've got a group of very warm dyeing students! 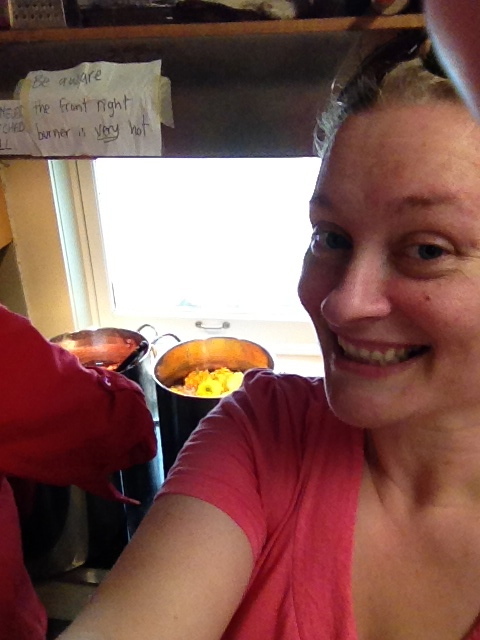 This is me, glowing with the simmering pots in the background. Totally not a make-up day! 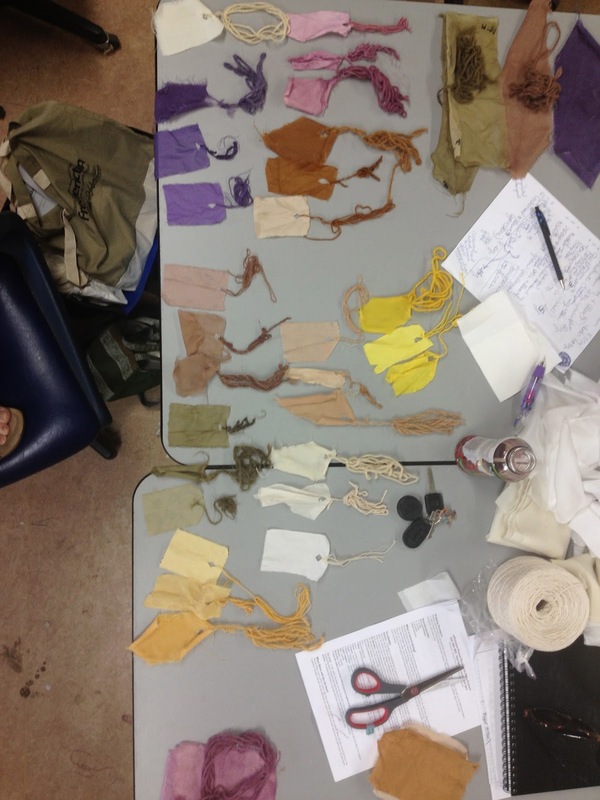 Here is my samples laying out. 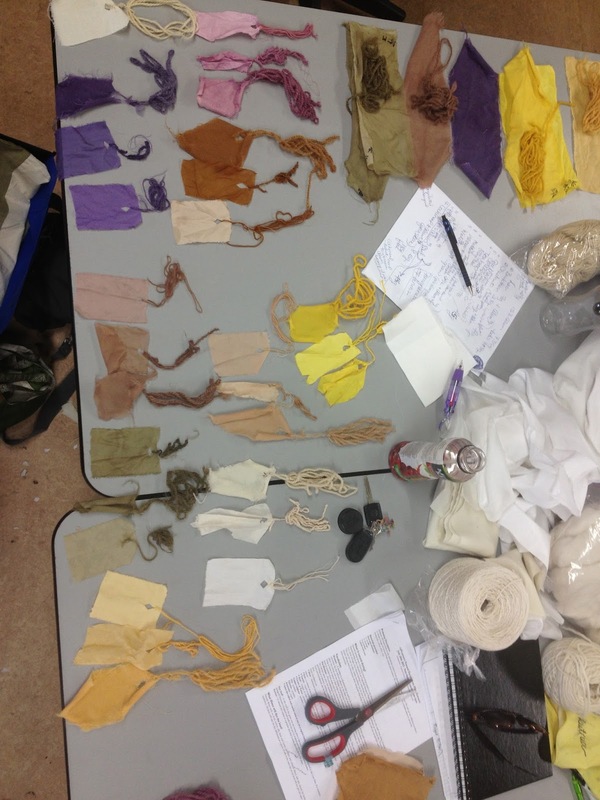 It was really neat to see how different fabrics and yarns would grab the dye. Wool and silk fabric and yarn are my favourite. 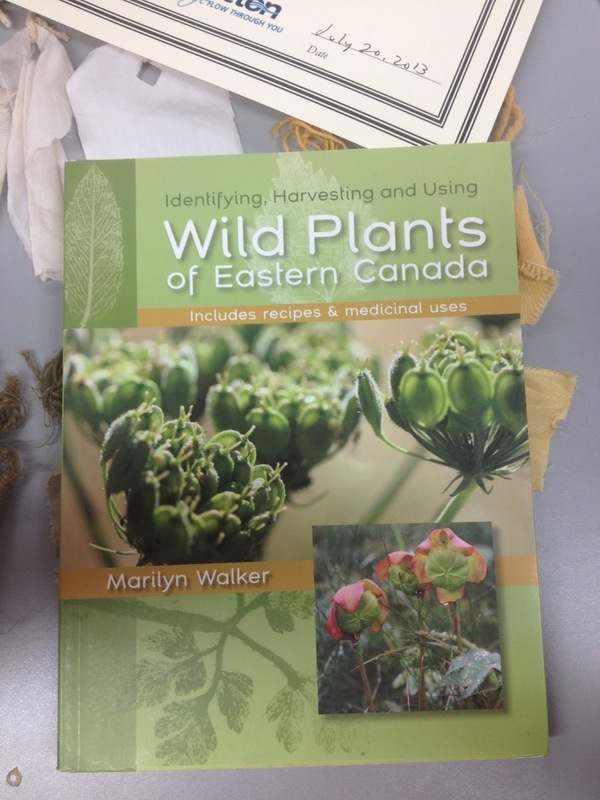 These are a few of the books the instructor brought with her that I don't own yet. :) I really liked these ones the best. And now I find out why we mordanted the materials in the same pot as the dye. I gotta tell ya, my heart sank as I watched all that dye go down the drain. 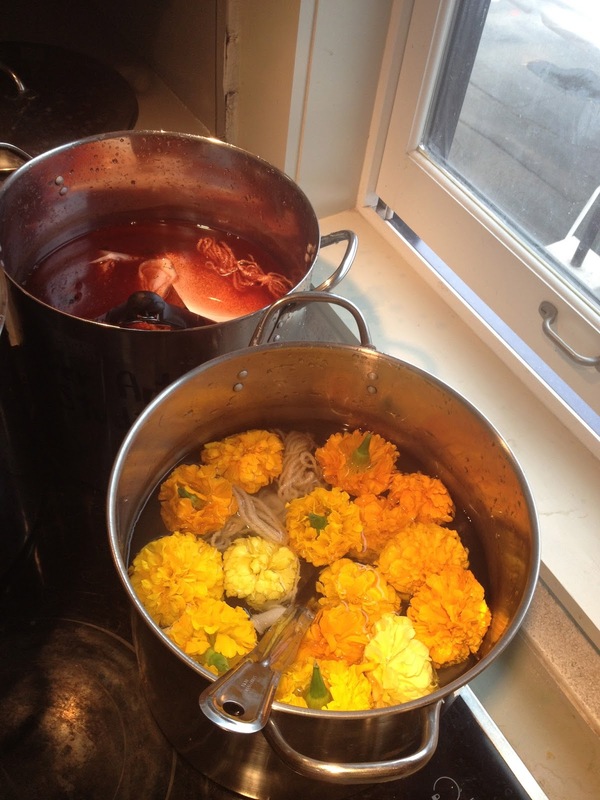 But the dye would not keep for long with the mordant in it. 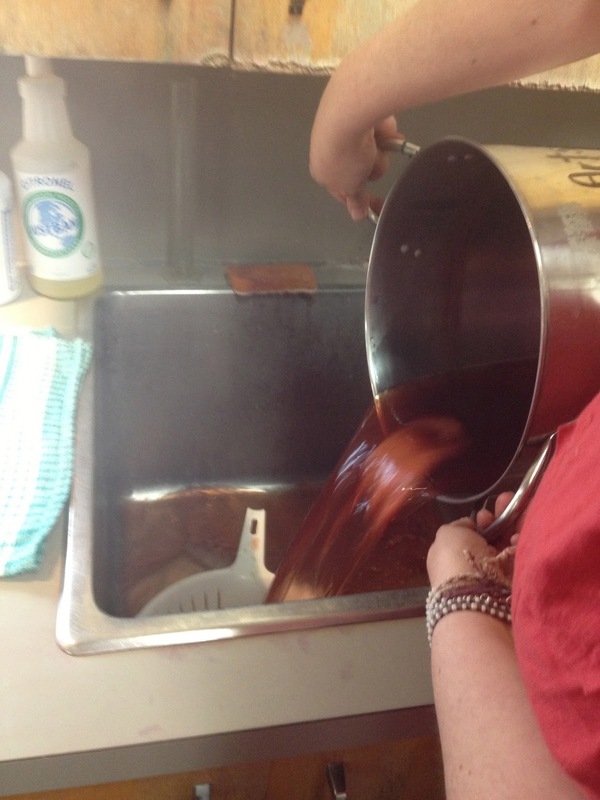 Dye can actually bond with the mordant, making the solution weak and give you less than vibrant colours. It was a really fun class. 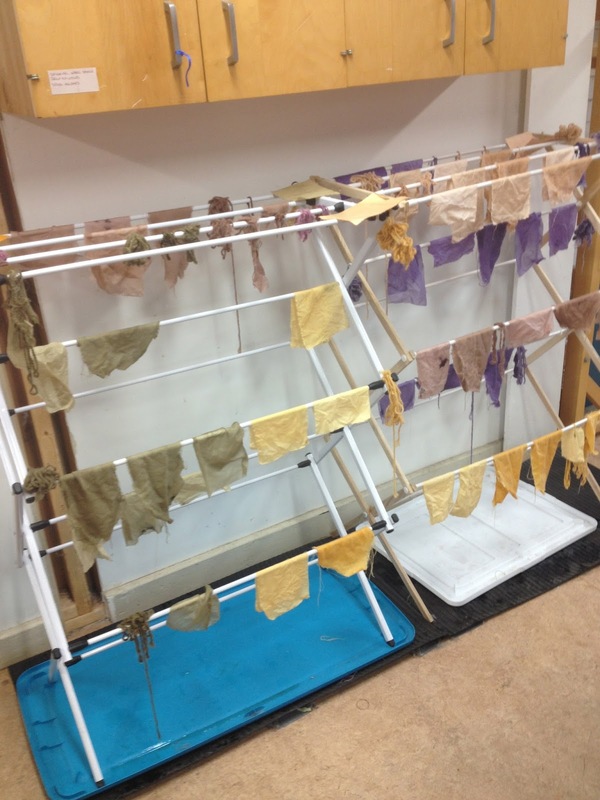 In fact, I signed up for another natural dyeing class but this next one is dyeing with mushrooms and lichens. NOW that will be exciting!!! 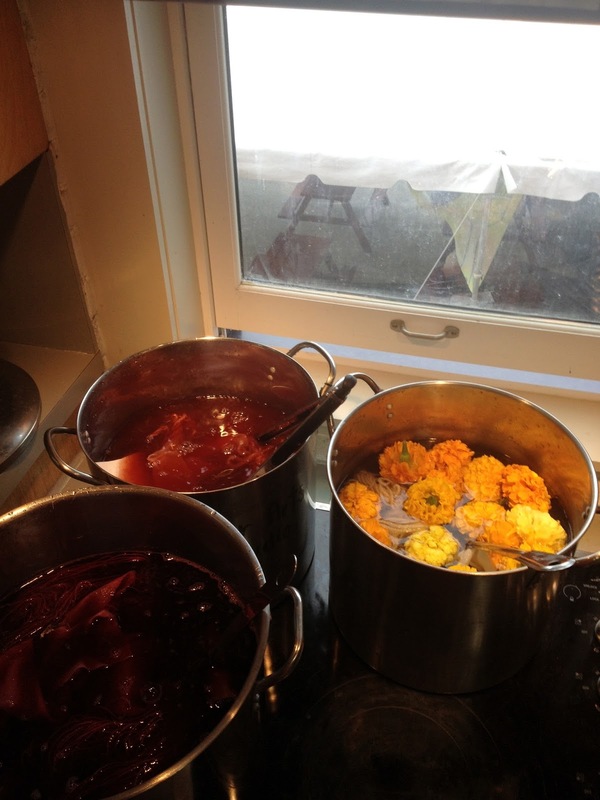 I also discovered another way to dye through fermentation. I'm researching that on the internet now. It might be a while before I give it a go. So what is next for my home dye pots? 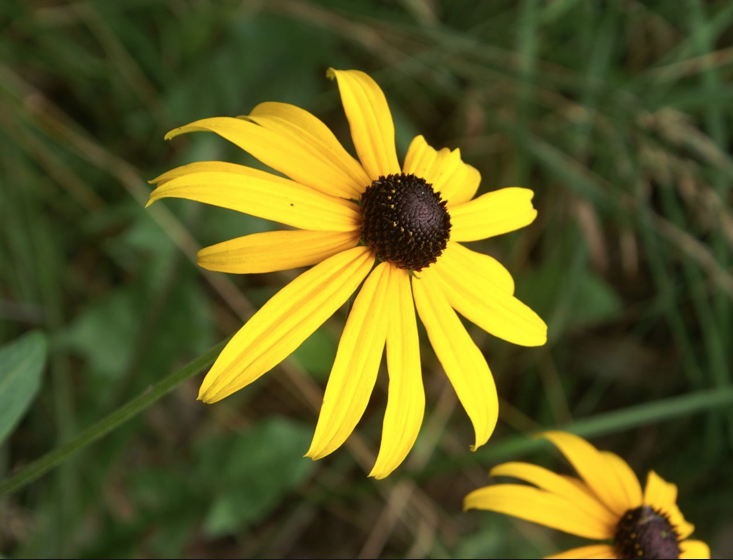 Rudbeckia hirta, a.k.a., Black-eyed Susans! I've read that you can get some very pretty greens from them. That's a colour I've not reach yet. I'm gathering a huge amount of them and storing them plastic grocery bags in the freezer while I wait for my alum and powder iron mordant to arrive in the mail from Miawa. These are the two species I've been gathering. I know this sounds shameful, but I've been sneaking into gardens and snipping a bloom or two. Now in my defense, it's only the ones that look like they've seen better days. You wouldn't believe how hard it is to find these suckers in the wild! Most of what I've found are growing is small clusters by the roadside here in Keswick. I did find a humungous amount that the city of Fredericton planted to dress up a patch of land besides an off ramp. 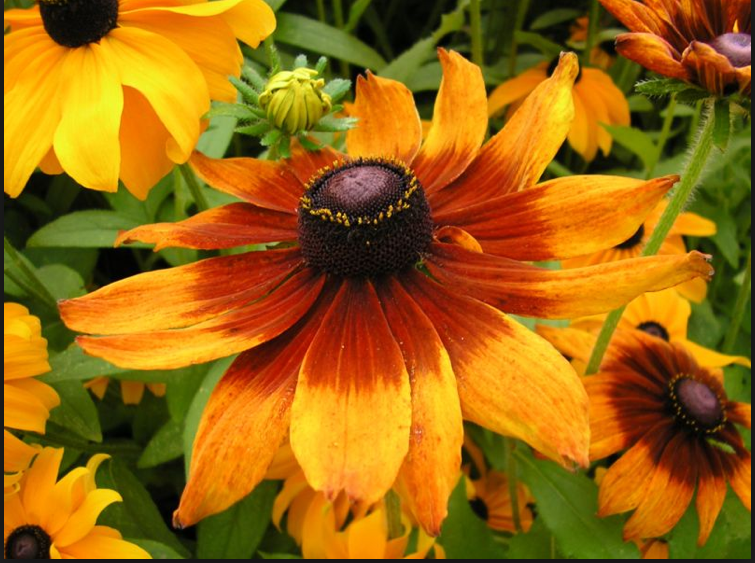 So I tip-toed through the Rudbeckia hirta, snipping the fading blooms here and there. 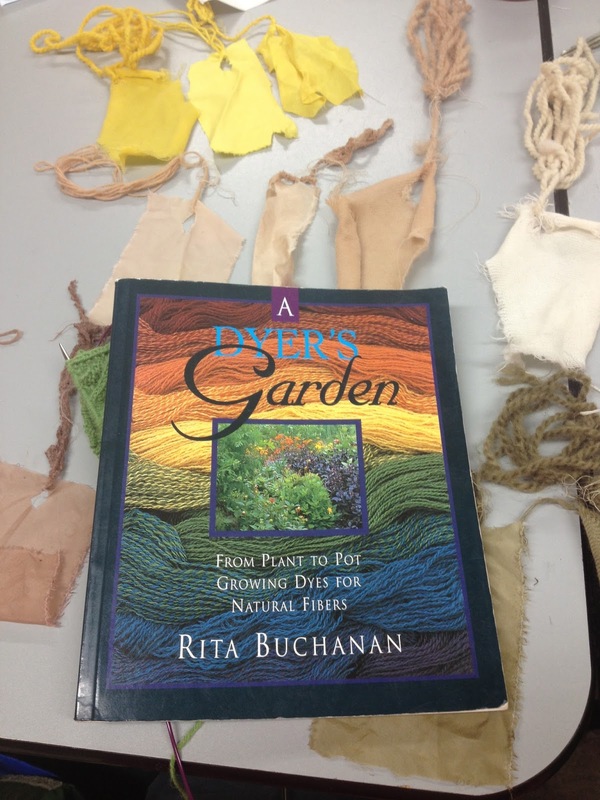 I really need a dyer's garden. Sigh. The sewing bug bit me and I'm designing/sewing knitting project bags. I'm selling them our Etsy shop, Keswick Arts & Crafts. Mom is an amazing sewer, but she loathes it. She will not even cut out the fabric pieces, she hates it so much, but she is able to give me her opinion/advice as I whip up the bags. Needless to say, I have a couple of bags for my own personal use due to them not being "shop worthy," as per Mom. And as for knitting and designing, "Roses for Margaery" socks are still on the needles and being charted. I'm knitting the size large for my feet in a pretty shade of green. I feel these are taking a little too long to complete, but I'm resisting the urge to rush. Oh, remember the "second sock syndrome" I experienced while knitting the mediums? I took an idea from Joeli and I am knitting both socks at the same time but on two separate sets of needles. I'll knit so far on one and chart as I go. Then I'll stop, and knit from my new chart on the other sock, and make corrections as needed. It's okay that I'm going slow with this design because I'm also reading a really great book to help me with my photography skills. 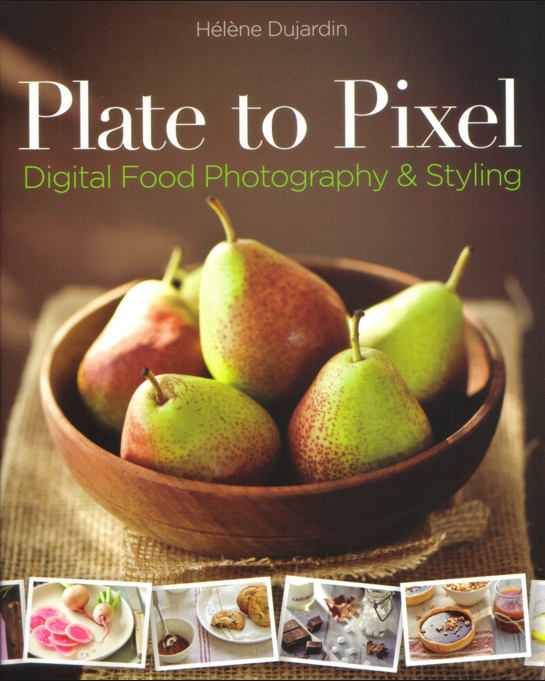 I'm interested in that book about photography too - I've been trying to work at my photography skills and have upgraded my lens to a fancy 50mm fixed lens too. It's brilliant. Hey - I just pinched Joeli's idea to knit two at the same time socks too - I haven't managed to figure out true two at a time, but this way was fab. I've tried knitting 2 socks on the same needles at the same time and it was very messy for me. Blah. I like Joeli's idea better.